HLN is a CNN Worldwide network reaching more than 100 million households in the U.S. It features live coverage of national, regional, lifestyle, and entertainment stories in a fast-paced approachable tone with expert-led, personality driven hosts. HLN (CNN Headline News) doubles up on its successful crime and investigation focused HLN Original Series in 2019 by bringing back the hit series How It Really Happened with Hill Harper and Something’s Killing Me with B.D. Wong, adding a new season of the acclaimed Death Row Stories formerly on CNN, and premiering a captivating slate of new offerings in primetime including a new series hosted by Donnie Wahlberg (Blue Bloods). Delving into aspects of the provocative and wildly popular crime and justice genre will be an HLN panel that features Nancy Duffy, Vice President, Program Development, CNN, and HLN hosts Hill Harper (The Good Doctor), BD Wong (Mr. Robot), and Donnie Wahlberg, moderated by CNN/HLN legal analyst Joey Jackson. Ken Jautz, EVP, CNN will provide brief opening remarks. Opening remarks: Ken Jautz, Executive Vice President of CNN/U.S. Nancy Duffy is Vice President of Program Development for CNN America. 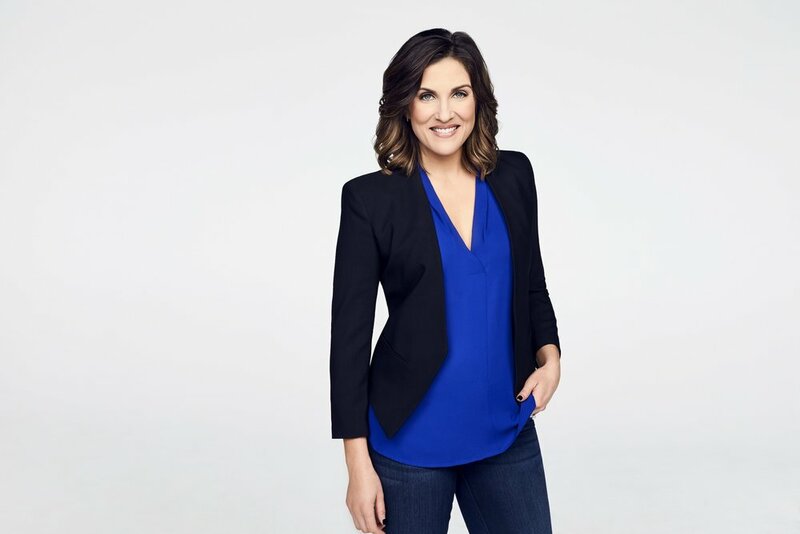 She is an Emmy® Award-winning producer who joined CNN in 2013 to oversee the development and production of CNN pilots and HLN unscripted programming. She also supervised the creation of pilots with CNN personalities including Alisyn Camerota, Chris Cuomo, S.E. Cupp and Bill Weir, executive produced The CNN Quiz Show, and the HLN Original Series. Under Duffy’s direction, HLN has launched five internally-produced original series dedicated to true crime, mysteries and investigations: How It Really Happened with Hill Harper, a retrospective of the most notorious crimes, mysteries, trials, and celebrity tragedies of the past century; Something’s Killing Me with BD Wong, a medical mystery docu-series on puzzling diseases and symptoms that result in a life or death struggle; Inside Evil with Chris Cuomo, an investigative series that takes viewers inside the psychology of violence and how it is affecting real people across America; Very Scary People hosted by Donnie Wahlberg, and Dead Wives Club, mystery whodunit. Prior to joining CNN, Duffy was the Executive Producer of Syndicated Programming at Fox where she served as production lead at Twentieth Television for Geraldo at Large and The Morning Show with Mike and Juliet. Her first role at Fox was executive producer of The Pulse with Shepard Smith, a one-hour newsmagazine series that aired on Fox Broadcasting Network. She also developed and produced Justice with Judge Jeanine, a legal news show on high-profile cases, issues and trends for Fox News Channel. Duffy started her career in television at CBS News where she won four Emmy® Awards and a Peabody Award as a producer of 48 Hours. As an original producer of 48 Hours, she traveled to the Persian Gulf with David Martin, produced a 90-minute special on Paul McCartney and covered Bill Clinton’s 1992 inauguration. As a producer of 60 Minutes and 60 Minutes II, Duffy worked with CBS anchors Scott Pelley and Ed Bradley. She had senior producing credits with Street Stories with Ed Bradley, Public Eye with Bryant Gumbel, Coast To Coast, the 50th Anniversary of the Smithsonian Institution: Fantastic Journey with Dan Rather and America Tonight with Deborah Norville and Dana King. She was executive producer of CBS News Primetime coverage of the OJ Simpson Trial. She graduated from Marquette University in Milwaukee, Wisconsin with a Bachelor of Arts in Journalism. Duffy is married to CNBC Executive Producer Chuck Schaeffer and lives in the Upper West Side of Manhattan, New York. Joey Jackson is a Partner at Watford Jackson, PLLC., located in Soho New York as well as a Legal Analyst at CNN & HLN. His full service law firm handles Criminal Defense, Labor & Employment, Civil Service Law, Wills, Civil Rights Litigation, Wrongful Death, and Contract Disputes. He is nationally-recognized criminal defense attorney who has for nearly two decades represented individuals and labor unions in state and federal court. Mr. Jackson and his associates have represented a diverse group of clients under the glare of cameras as well as those who have never attracted public attention. He has built an outstanding career as a trial lawyer representing clients who have fallen into high-stakes personal and professional crises, as well as those who are average citizens in need of his fierce and benevolent counsel. Mr. Jackson has been a member of the New York Bar since 1995. After graduating from Hofstra Law School, Mr. Jackson was appointed Assistant District Attorney under Robert Morgenthau. Following a successful career as a prosecutor where he received the Distinguished Public Service Award, Mr. Jackson joined the firm of Koehler & Isaacs LLP where he served as Senior Trial Counsel specializing in Criminal Defense and Labor & Employment. Mr. Jackson has tried cases and received favorable verdicts in Manhattan, the Southern District, Brooklyn, Queens, and the Bronx, as well as Nassau, Suffolk and Rockland Counties. He handles federal cases in both the Eastern and Southern Districts. After two decades of successfully defending law enforcement personnel, labor unions, and private citizens, he started his own law firm, along with long time mentor and co-counsel, Gregory J. Watford. Mr. Jackson’s straight-talking legal expertise has always been held in high regard by media outlets as evidenced his commentary over the years on Court TV., In Session, Fox News Channel, Fox Business Channel, MSNBC, ABC, and NBC. He is currently employed by Turner Broadcasting as a CNN & HLN Legal Analyst. Prior to Law School, he earned his MPA from SUNY Albany's Rockefeller College of Public Affairs and Policy. While earning his Master's Degree, he worked for the N.Y.S. Assembly Speaker as a Legislative Analyst. He also holds a B.A. from SUNY Brockport, where he participated in the honors program, directed the student-run Legal Information Service, served as student body president, and interned with the N.Y.S. Education Department as well as Congressman Charles B. Rangel (D-NY) in Washington, D.C. He also worked for the N.Y.C. Mayor's Office in the Division of Special Projects. Mr. Jackson is a former adjunct professor at Monroe College where he taught Business & Civil Rights Law. Ken Jautz, Executive Vice President of CNN/U.S. Ken Jautz serves as Executive Vice President, CNN/U.S., responsible for HLN, as well as group operations, business affairs and the Newsource affiliate service. Jautz, a longtime CNN and Turner Broadcasting executive, has managed several networks, including HLN, CNNfn and n-tv, a German national news channel. From 2010 to 2013, Jautz oversaw CNN/U.S. programming, and during his tenure, the network commissioned its first non-fiction series from outside producers and received critical acclaim for its commitment to international reporting, including Peabody and Emmy awards for coverage of the Arab Spring in 2011. From 2005 to 2010, Jautz was responsible for HLN where he revamped and re-branded the network formerly known as CNN Headline News and created a host of new shows that cumulatively posted record ratings for the network, including Morning Express with Robin Meade, Nancy Grace, Showbiz Tonight and Joy Behar. Jautz served as executive vice president of CNN's business news unit from 2001 to 2004, during which time he managed the CNNfn network, helped launch the CNNMoney website, and oversaw all business programming on CNN/U.S., including several award-winning weekday and weekend business programs. From 1995 to 2000 Jautz worked for Turner Broadcasting Europe, first as a London-based business development executive helping launch news channels and programs in several European countries, then as the Berlin, Germany-based managing director of n-tv, which operated the first all-news television network in Germany. Jautz was a local newspaper reporter and a foreign correspondent for The Associated Press before becoming CNN's bureau chief in Germany. Among the stories he covered for the network were the fall of the Berlin Wall and subsequent revolutions in East European countries; the 1991 Gulf War; the dissolution of the Soviet Union; and the break-up of Yugoslavia and resulting Balkan conflicts. Jautz is a graduate of Cornell University and the Columbia University Graduate School of Journalism. Donnie Wahlberg is host of HLN’s new six-episode series Very Scary People, which premieres on March 17th, 2019. 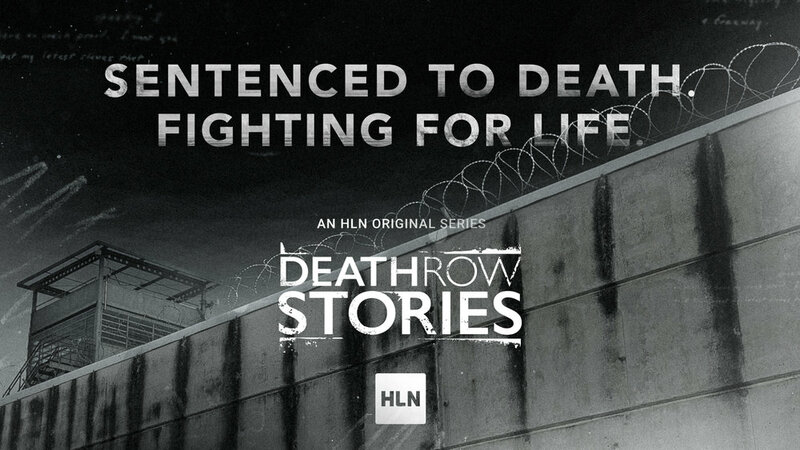 The HLN Original Series chronicles the twisted lives of some of the most frightening, diabolical characters in recent history and the eventual road to justice. Wahlberg also currently stars on the hit CBS drama Blue Bloods and ramping up for a summer 2019 tour with his band New Kids on the Block, Donnie Wahlberg’s impressive career spans television, film and music – capturing the attention of audiences worldwide. He has proven his versatility by transforming himself, going from a teen pop sensation to a noteworthy dramatic film actor, critically acclaimed television star and an accomplished producer. The eighth of nine children, Wahlberg began performing in plays and banging on pots and pans as early as the first grade. In high school, he attended a fledgling arts program and became involved in theater, acting, writing and directing plays. At age 14, he started a band that, in just a few years, went from playing at high school parties to becoming pop music sensation New Kids on the Block. At the height of the group’s popularity, Wahlberg decided to go in another direction by focusing on writing and producing for his brother Mark. Then, he chose to explore his interest in acting and landed a role in Bullet with Mickey Rourke and Tupac Shakur, a project that lit a spark and motivated him to devote his energy to the craft of acting. In 2009, Wahlberg was instrumental in putting together the phenomenally received reunion of New Kids on The Block, which yielded a new album and worldwide concert tour. In the summer of 2011, he went on the NKOTBSB Tour, uniting his band with Backstreet Boys and creating one of the most successful concert ventures in their history. On the production side, Wahlberg is the executive producer of the Emmy Award-nominated unscripted series Wahlburgers, – a behind-the-scenes look at the titular restaurant owned by his brother Paul Wahlberg, as well as Donnie and Mark. Additional series include: Donnie Loves Jenny, which allows fans a behind-the-scenes look at the marriage between Donnie and his wife, Jenny McCarthy; Rock This Boat; Boston’s Finest, a docudrama that followed the personal and professional lives of members of the Boston Police Department; and Return of the Mac, a show he executive produced and starred in with his NKOTB bandmate Joey McIntyre. Wahlberg’s film career includes a pivotal role in The Sixth Sense, which was originally written for a 13-year-old boy. It was not until Wahlberg met with M. Night Shyamalan to inquire about rights for a theater production that he ended up convincing the writer/director that no one else could play the role. Also, he co-starred with Mel Gibson in Ransom directed by Ron Howard, and starred in the independent film, Southie. Additional feature film credits include Saw II, Annapolis, Righteous Kill, Zookeeper and the independent film Marilyn Hotchkiss’ Ballroom Dancing & Charm School. Wahlberg co-wrote the feature What Doesn’t Kill You, in which he co-starred with Mark Ruffalo and Ethan Hawke. Wahlberg’s television credits include co-starring with Harvey Keitel in the miniseries The Path to 9/11, the award-winning miniseries Band of Brothers, The Kill Point, and Boomtown.